Seriously. Don’t make this if you’re on a diet. It smells like the most delicious dessert known to (wo)man. No, dear daughter. It’s a rich, luxurious, and moisturizing body butter that I want to rub all over my body. 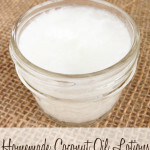 Besides the amazing smell, you’ll love that this homemade body butter only requires three ingredients to make: cocoa butter, coconut oil, and jojoba oil. 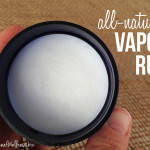 I went through five trial runs of making this stuff to find the right ratio of ingredients, so yours will turn out perfect the very first time. 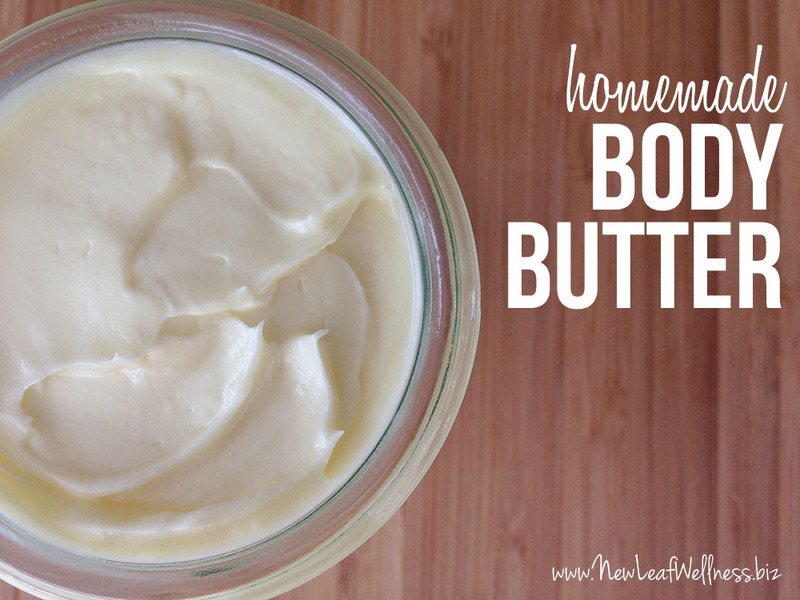 This homemade body butter is also incredibly easy to make. Simply combine the ingredients in a saucepan on your stovetop, chill in your refrigerator, and then whip into body butter bliss. Oh, and did I mention it smells exactly like chocolate?!? 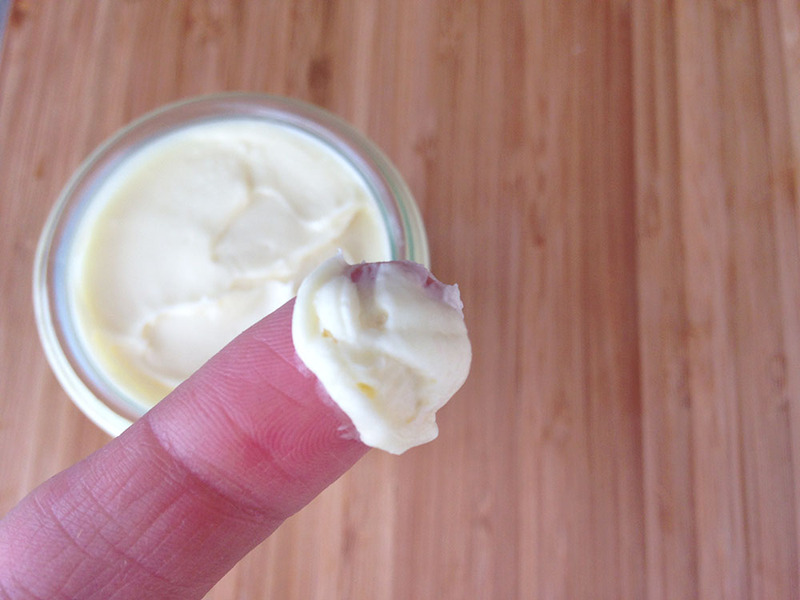 By the way, don’t skimp on the quality of ingredients that you buy to make your body butter. The smell and quality of this homemade body butter rival an upscale spa, and the ingredients play a big part in that. If you really need to save money, I would buy premium cocoa butter and coconut oil and sub grapeseed oil for jojoba oil. Melt cocoa butter and coconut oil in small non-stick saucepan on your stovetop over low heat. Add jojoba oil and stir to combine. 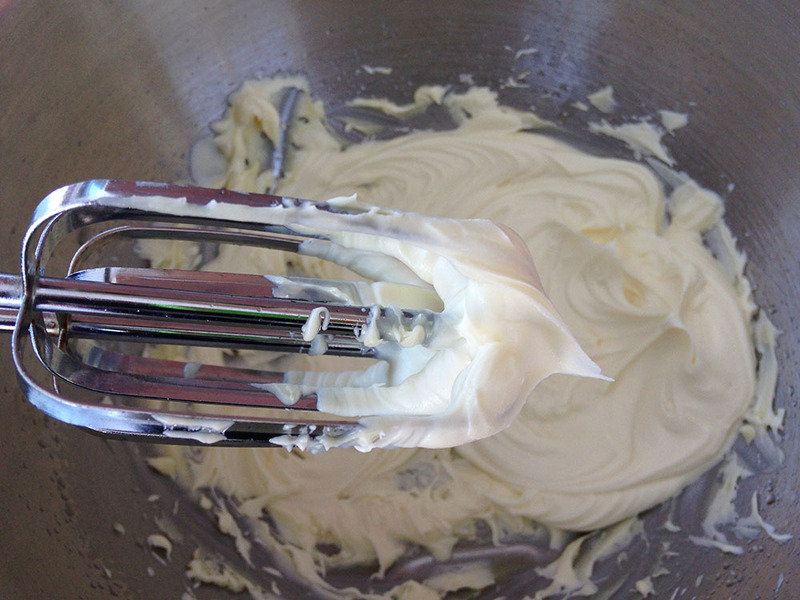 Remove from refrigerator and whip with an electric mixer for 90 seconds or until your body butter has the consistency of, well, whipped butter. Use a spatula to scrape the sides of the bowl as you mix. 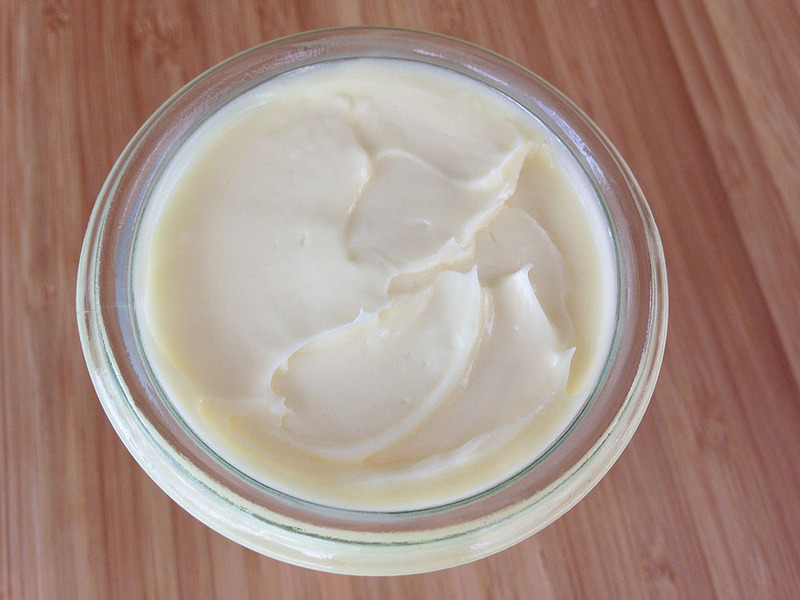 Spoon your homemade body butter into a container and lather up! If you’re thinking about making this homemade body butter as gifts, one pound of cocoa butter, one 16oz jar of coconut oil, and one 16oz bottle of jojoba oil will yield about 6 batches of this recipe. Split it into 4oz jars (like these or these) and you’ll have 12 luxurious gifts of homemade body butter! This is awesome! Thanks for including where to buy the ingredients. Question: after buying the ingredients, how does this compare to buying say organic cocoa body butter at the store? Do you think that DIYing this is a cheaper alternative or just more for fun? 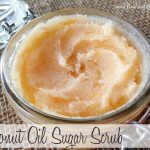 I made it because I thought it would be fun and I like having control over all of the ingredients in my skincare products. I bet it’s cheaper than store-bought stuff too. This is really, really nice cocoa butter. Hi do you have any idea for how long can i use this homemade body butter? If you store it in a cool, dry place I think it should stay good for at least a couple of months. I always use mine very quickly though! all your recipes are simple and i feel i want to try all of them! Yes. The key is the jojoba oil because it’s liquid at room temperature. 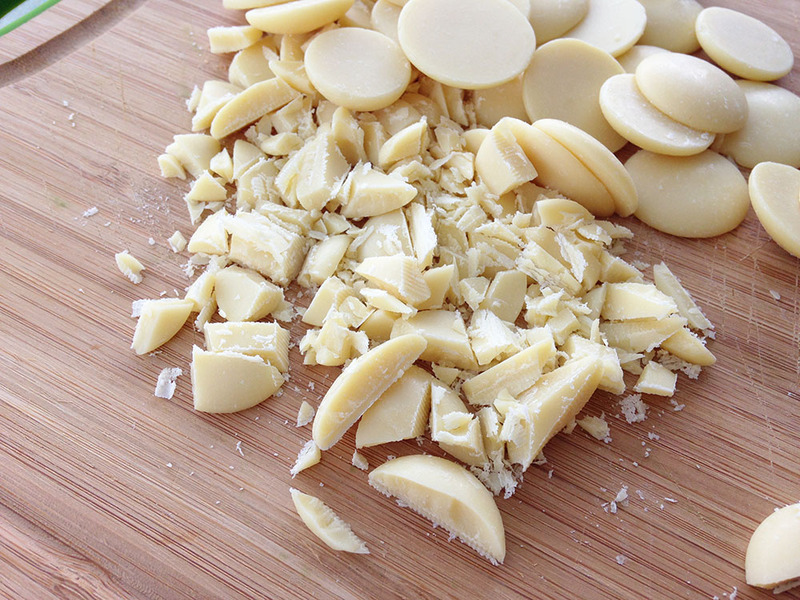 (As compared to ingredients that are solid at room temperature, like coconut oil and cocoa butter.) Recipes made with very little liquid oil will harden. I have avocado oil and almond oil on hand. Can I use either of these in place of the jojoba oil? Yes. I believe you could use either one. I’m leaning toward the almond because I think it might be thinner.